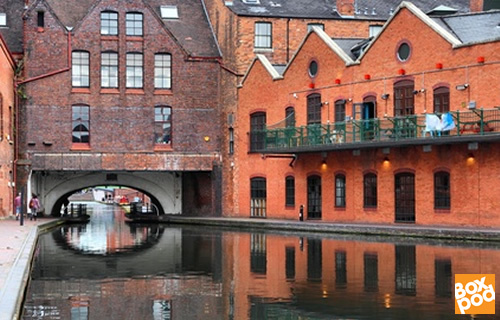 Businesses looking for offices to rent in Birmingham will find competition is fierce as the city has been crowned top spot for start-ups outside London. The home to Cadbury’s is a sweet place for entrepreneurs looking to grow their businesses. As the Midlands principle city, Birmingham has been named the number one city outside London for start-ups thanks to its infrastructure and talent pool. Boxpod has seen this demand for offices to rent in Birmingham at first hand as enquiries doubled in 2018, compared to the previous year. Office property views increased by 290% in 2018, compared to 2017. The take-up of office space in the final quarter of 2018 was boosted by Birmingham City University’s letting at Belmont Works in Eastside. Total figures showed the annual take up in line with the 10-year average. And the new year has seen promising predictions. Record rents for Grade A offices are expected in 2019, according to Midlands Property Predictions. JLL’s Jonathan Carmalt says new build Grade A offices in central Birmingham will see a new record headline rent of £35 per sqft this year. Availability for co-working space and serviced offices is fast moving. The flexibility of the market is driving more frequent interest as occupancy levels vary. The new year is often a time when home-based and entrepreneurs look to start scaling up their enterprises by renting office units. Uncertainties with Brexit mean tenants are not wanting to over commit to long-term leases. All in all, it’s a busy time for people looking for office space to rent in Birmingham. Modern office space can accommodate 1-200 desks in some sites. Take a good look at the deals out there. The health and well being of tenants is at the heart of contemporary serviced offices these days. Offers vary across sites and can include free gym use, free telephone calls, equipped and stocked kitchens, break out/rest areas, private office/meeting rooms and an indoor golf simulator. There’s something for everyone. State of the art refurbishments are driving interest in flexible and affordable office space to rent in Birmingham and there are plenty of added extras to sweeten deals for tenants.